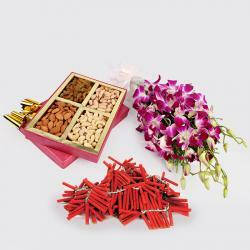 Product Consist : Bouquet of 10 Red Carnations with Box of Kaju Katli Sweet (Weight : 500 gms) and Gulab Jamun (Weight : 500 Gms) along with Assorted Fire crackers (Worth Rs.300/-) (Note: Types of Fire Cracker are depends upon their availability no specific choice). 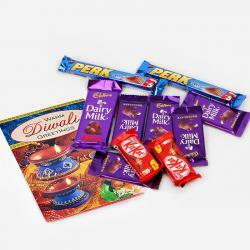 On the auspicious festival of diwali are you planning to visit your friends and relative home to wish and celebrate diwali with them then this combo will be an ultimate choice for the purpose of gifting. The sweet of gulabjamun and kaju Katli will be filled in your bond and the red carnation will inspire you to be as beautiful and fresh as them. 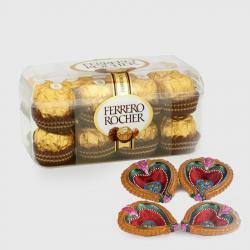 Burst out the different crackers and bring back the old days. 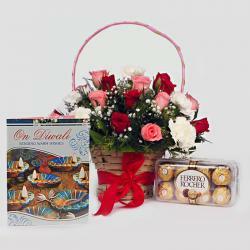 This combo has touch of old days memories which you have spend together. 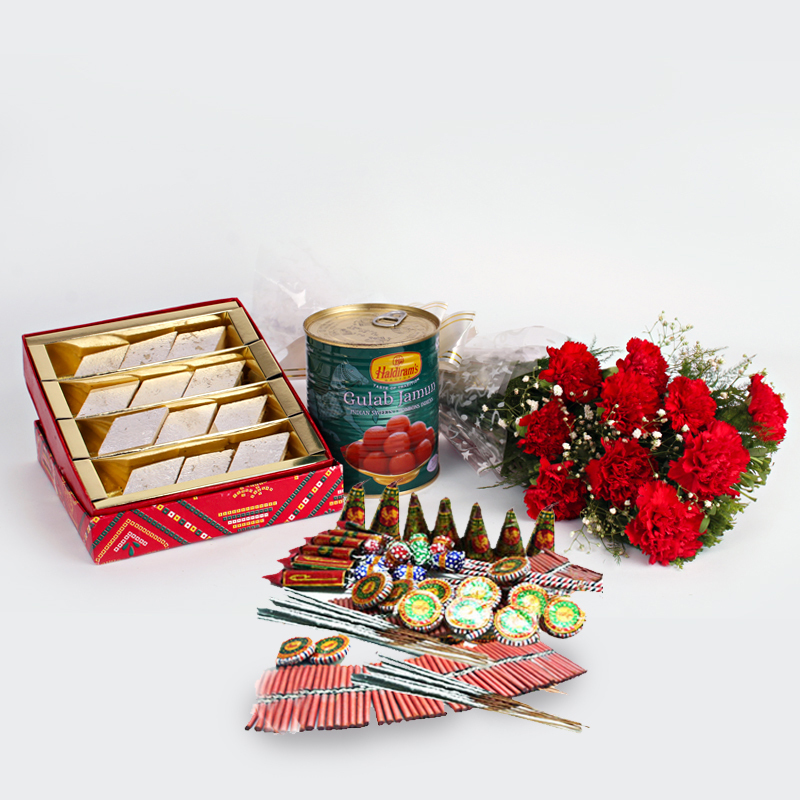 Product Includes : Bouquet of 10 Red Carnations with Box of Kaju Katli Sweet (Weight : 500 gms) and Gulab Jamun (Weight : 500 Gms) along with Assorted Fire crackers (Worth Rs.300/-) (Note: Types of Fire Cracker are depends upon their availability no specific choice).